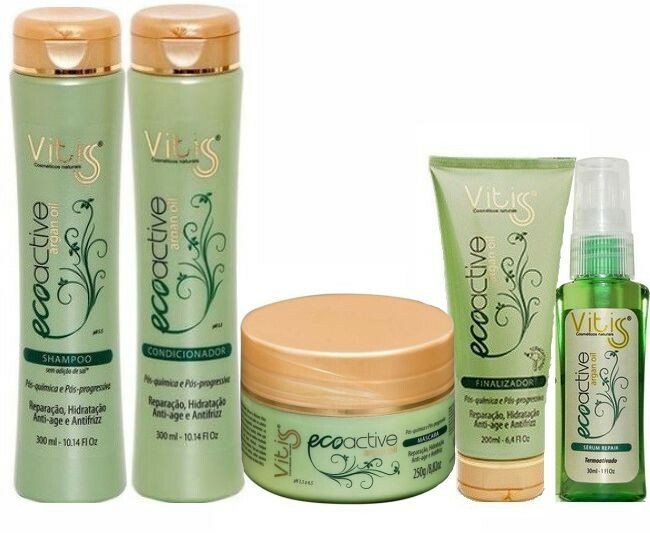 Itens inclusos: 1 Shampoo Vitiss Ecoactive Argan Oil 300ml. 1 Condicionador Vitiss Ecoactive Argan Oil 300ml. 1 Máscara Vitiss Ecoactive Argan Oil 250g. 1 Leave-In Vitiss Ecoactive Argan Oil 200ml. 1 Sérum Vitiss Ecoactive Argan Oil 30ml. 1 Shampoo Vitiss Ecoactive Argan Oil 300ml.